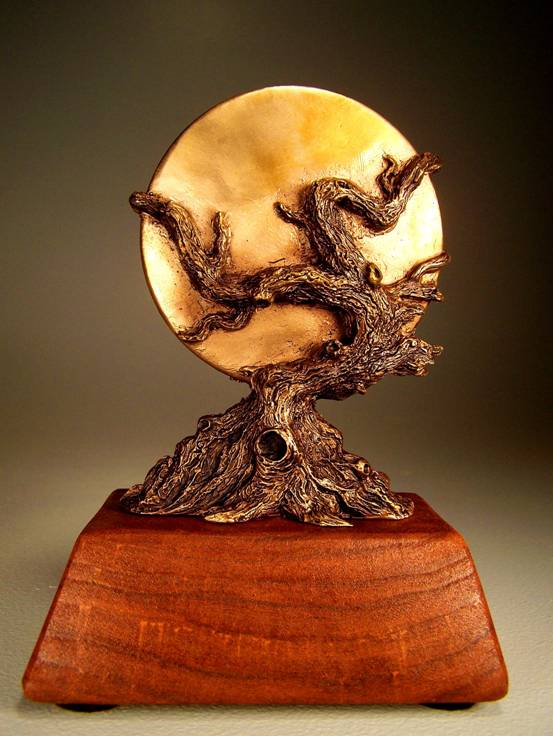 The World Fantasy Awards were presented November 4 at the World Fantasy Convention in Baltimore, Maryland. The latter is Best Novella. Kendall: Yes, it seems you are right, although the past two years it was called the “Long Fiction” category. The category title has varied between that and Novella for years. I hate to ask this but are there two categories, one called novella and one called long fiction? Looking back back through the actual awards, it seems both sort of show up as they may with no discernible pattern. That new trophy is just so much more aesthetically appealing than the old one, all other considerations aside. It’s pretty and definitely suggests fantasy OR horror, not just horror. 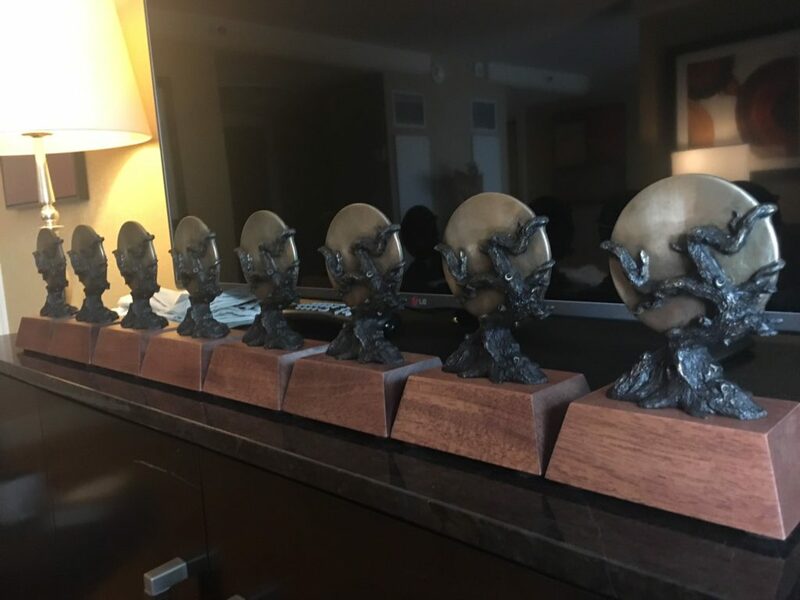 @Cat Eldridge: This year they called the longer one Best Novella and the shorter one Best Short Fiction (in the program: Best Short Story…sigh), but I guess they’re not as consistent as I thought. @Mike Glyer: Thanks; I didn’t dig deep enough. Hey if we want to talk variations, the Tiptree is very changeable. 😉 Just to keep me confused.